The Township Committee members are elected officials whose three-year terms of office begin on January 1 following their election at the November general election. At the reorganization meeting during the first seven days of January, the Township Committee elects one of their number to be the Mayor and Deputy Mayor. 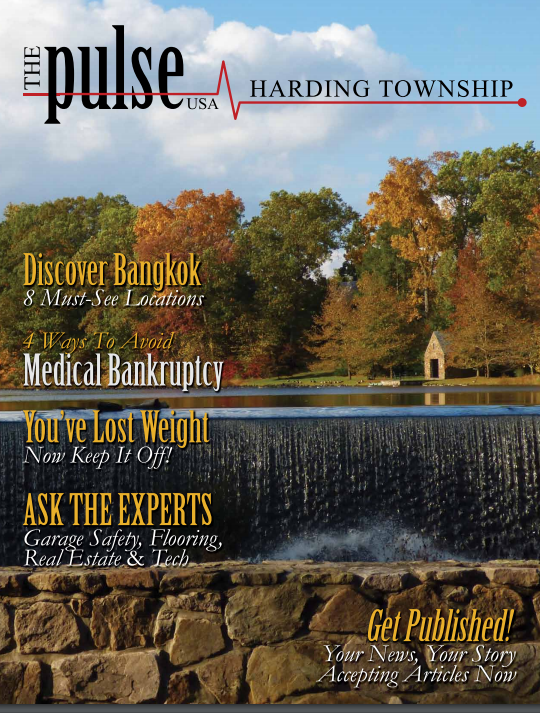 The Harding Township Board of Health oversees the Health Department and has the authority to adopt ordinances related to public health. The powers and duties of the Board are described in N.J.S.A. 26:3-1 to 26:3-91 which covers every thing from organization and structure to procedures for passing ordinances and rules. The Board ensures that the provisions of Minimum Standards of Performance for Health Department, a series of State regulations, are being met. The Board has adopted strict environmental regulations governing the design and placement of septic systems and drinking water wells in addition to rules governing sanitation, public health nuisances, and noise. The Board hears applications for waivers to these standards. The Board also establishes policies relating to public health services such as health screening clinics, flu immunization clinics, and services to the senior community. In Harding the Board of Health has a scheduled meeting once a month, with an occasional special meeting set at a mutually convenient time. The scheduled meetings are on the second Thursday of the month at 7:30 PM and generally last between one and two hours. The meetings are advertised and open to the public. The Harding Board of Health consists of five members and two alternate members, who are residents of the township, at least one of whom is a member of the Township Committee. The Mayor, with the advice and consent of the Township Committee, appoints the members. Full members have three year terms and one alternate has a two year term while the other alternate has a one year turn. The Board of Health meets the 2nd Thursday of every month at 7:30 PM at the Township Hall. The Harding Township Board of Education is an elected, unpaid group of five citizens who set policy and make decisions on educational, financial, and personnel matters for the Harding Township school district on behalf of all residents. The Board and the school district operate under applicable New Jersey laws and under regulations of the New Jersey Board of Education, the New Jersey Department of Education as well as local policies established by the Harding Township Board of Education itself. The Harding Township Board of Education usually meets twice a month. The first meeting of the month is a “work” session, at which upcoming resolutions and the reports of the various Board committees are discussed. The second meeting is the “action” meeting, when the Board votes on proposed resolutions. Both meetings include opportunities for those attending to comment on matters of interest to them, including matters on the published agenda. We sincerely desire that our meetings provide useful opportunities for communication between the Board and the community.